Everyone knows that keeping a clean aerial lift will not only portray a professional appearance, but it will also allow the maintenance of your lift be more easily manageable. Aerial lifts vary considerably by make and model. However; no matter which piece of equipment you have, regular inspections and cleaning will ensure the machine works safely and efficiently. Below, we have a variety of lift equipment components and what to inspect and clean on each. Happy reading! Check the lock bolts for tightness. Check the foot switch for proper operation. Switches should always be in neutral. Check signs, labels and instructions for legibility. Ensure the safety latches, toe boards, railings and guards are in good condition and working properly. Check the jib and main boom assembly to ensure pins and pivot points are in good condition, properly attached and locked. Also make sure they show no signs of bending, pinching or wearing. Check lubrication points for signs of dryness; dry or dirty lube fittings might mean the lube points have not been used in a while. Check the control valves for leaks, loose hoses, frayed wires or damaged insulation, making sure support brackets are in place and tight. Check the four-wheel assemblies for tire condition and proper inflation. Check the drive hub and brakes for signs of brake fluid leakage, caked dirt, lack of lubrication and missing or loose lug nuts. Check the steering cylinders, tie rods and steering linkage for wear and proper fluid levels and lubrication. 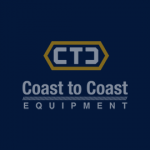 Check the drive-train components: pump, drive motor, brake and control valve, connecting hydraulic hose, and fittings for signs of hydraulic-fluid leaks visible at connections. Check the pumps or control valves for low pressure under loads caused by wear. Check the pressure plates for cracks due to overloading; signs of cracks should trigger a more detailed inspection of all lift components for signs of strain, such as leaks, bent or scored mechanical linkages or cable fatigue. Check the turntable drive and support bolts. Check the turntable bearing and gear mechanism for proper lubrication and smooth rotation; hesitation might indicate bearing wear or damage. Check the muffler and exhaust system for leaks or loose brackets. Check the hydraulic pump, medium-pressure filter housing and swivel for leakage or damage. Check the horizontal cutoff limit switch to make sure it is free of dirt and the arm is straight, clean, and free to move (if applicable). Check hoses and wires to look for leaks, wear or damage. Check doors and latches for lubrication and proper operation. Check the manual descent for wear or damage indicated by leakage, dents or scoring of the cylinder. Check the return filters for obstructions or leaks. Check the LP gas tank, if appropriate, to ensure it is well anchored and all clamps and bolts are tight. Check the hydraulic fluid level in the reservoir by removing the cap, checking the oil level and replacing the cap. Inspect the magnetic plug, to check for iron filings indicating metal scoring is occurring in the system; checks should be done when the system is shut down, lowered for storage, and the oil is cold (if applicable). Check the ground-control switches to ensure all operational labels and warning signs are legible. How Does OSHA Regulate Aerial Lifts?